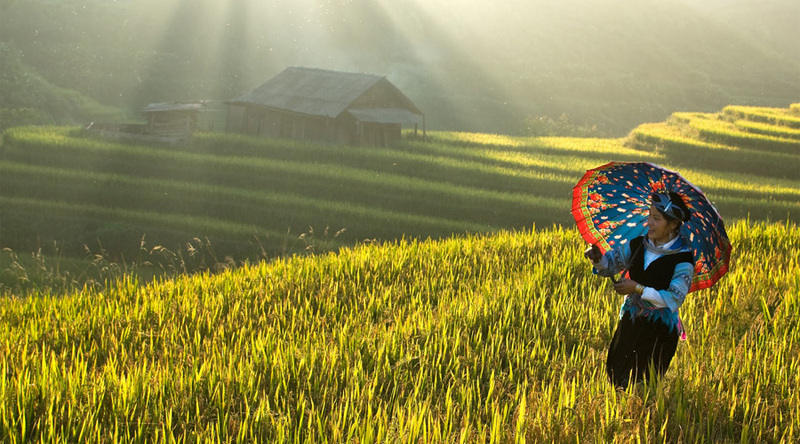 We continue along small paths in the rice fields, cross the Muong Hoa River and trek up to Su pan where you will meet the jeep and transfer back to Sapa. Checkinhotel. Have dinner,overnight in sapa. Afternoon: Free time to relax, visit Sapa town, take photos, buy souvenirs.. Included: Breakfast, entrance fees, tour guide, , mini bus tranfer Sapa – Lao Cai, Train ticket Lao Cai – Hanoi, lunch.